He recalls a particular day when after a busy morning of playing inside and outside and up the stairs and down the stairs…stopping for lunch…and then, the MOM-edict…”we can watch Sesame Street, but when it’s over, it’s nap time!” Okay…that sets the stage–the 4 year old understands the ground rules…the baby could care less! Back in those days, it was Bert, Ernie, Oscar, Cookie Monster, Grover and Big Bird as the main characters. An occasional visit from ‘The Count”–Brian’s favorite…and that was about it. BUT, you knew that it was “nap time” when at the end of the show, the announcer would say something like, “Sesame Street was brought to you today by the numbers 4 and 9 and the letter ‘I’. Boom–off to bed for the little ones and time for a little shut-eye for the adults! Great stuff! When P brought out this bottle, we were extremely excited having enjoyed Orin Swift’s other Locations wines, E and F and we’ve previously blogged about both of them. By way of recap… E is for Spain (Espana); F is for France and tonight, we break into Italy! You may not know that Italy boasts more than 2000 indigenous grape varieties. Diverse components were meticulously assembled that represent the finest from each region. The result is a vibrant wine that captures the spirit of Italy with a touch of new world bravado. This wine features a blend of Negroamaro, Nerod’Avola, Barbera, and native varietals from Puglia. This wine was magnificent. . .from the minute the cork was pulled, the aromas of earthy goodness came out…lots of cherry and leather on the nose, but it needed about 45 minutes of air time, and as we poured the first glass, the color was gorgeous. It wasn’t quite as dark as we would have thought with a blend, but it looked silky pouring into the glass. If you like fine Italian wines, then this is worth getting in your cellar. 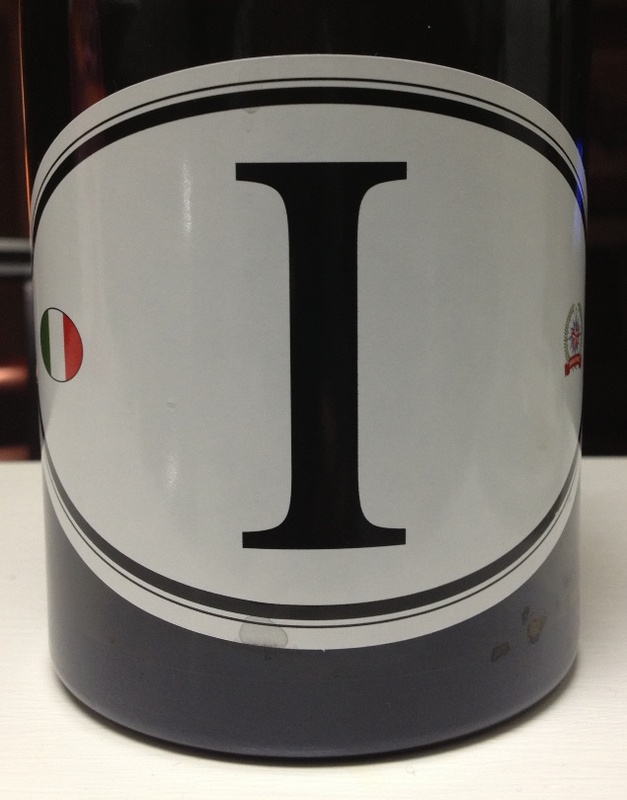 Without question, tonight’s blog is definitely brought to us by the letter ‘I’…it’s a wine worth celebrating! Speaking of celebrating. . .tonight we give a birthday shout-out to our good friend Kris from Kerrville. . .Happy Birthday, Kris. . .we’re sorry Big Blue didn’t win the NCAA Championship, but you should still be proud of their efforts—even at your age!!! All the best. Remember to enjoy your favorite wine responsibly and recycle whenever possible. Speaking of recycling, we’d be remiss if we didn’t give a plug to a San Marcos event coming up on May 11th–the 4th Annual Texas Green Home & Living Show runs from 10 am to 4 pm and offers great ideas for saving green by going green–and recycling is just one of the answers! Categories: Uncategorized | Tags: barbera, Gabriel's, Go Big Blue, Grape Juice, Italian wines, Italy, Kerrville, locations wines, Orin Swift, Spec's, Twin Liqors | Permalink. Thanks for the birthday wishes – spent the night with 70 amazing Heroes for the Red Cross – a great group of people who care about helping others. Sorry to kiss my 50’s goodbye … but looking forward to new adventures and times with good friends like Jean and Brian! Happy Friday.